1) Almost every culture follows the tradition! As mentioned before, almost all the cultures follow the tradition of ring exchange. Some do it months before marriage and some the day before marriage. But, every culture has different traditions related to the ring exchange ceremony as well. In fact, in some cultures, a ring of gold is considered as the most superior, while some modern couples are starting to opt for platinum bands to keep the simplicity. But, the most common ring used for Engagements is still a diamond ring. Depending on one’s budget, a diamond can come in different karats varying in its purity. It can be carved into any shape that you wish and is in general one of the most expensive gems found in the world. 2) A mark of alliance! An Engagement ring in India does not only mark the commitment between a couple but also marks an alliance between two families. 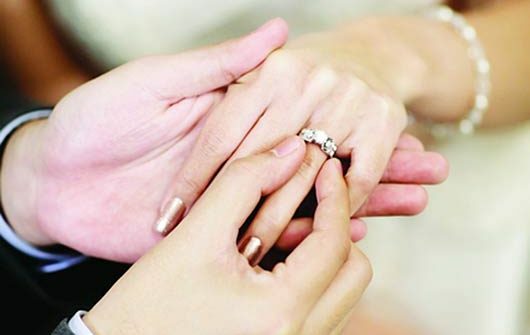 Although, modern couples are opting for buying rings they like- but traditionally; the family chooses what ring to give to the daughter in law or son in law. We also have a notion of the costlier the ring, the better it is. But in reality, this fact has been established- because when it comes to jewelry, the more the price- the better the quality. But, that does not mean that budget rings are not worthy. Once you draw out your budget, there are various intricate designs available for all prices available, provided you find a trusted name. If you are a couple that does not follow traditions very closely, even then an engagement ring is a great way to propose to your life partner. The significance of the engagement ring is that it is worn on the left ring finger- which has a vein directly connected to the heart. What better than giving your life partner a gift that always stays close to their heart. Moreover, it is also a sign of commitment. So once, someone has the engagement ring on – it is a given that they are committed. If you keep the emotional perspective aside and even get practicality in the picture- then you will realize that engagement rings in India also make great investments. Gold prices keep fluctuating and diamond along with platinum is always invaluable. So, adding a ring to your jewelry box would only increase its worth and make your collection even more valuable. This article talks about the significance of engagement rings in India. 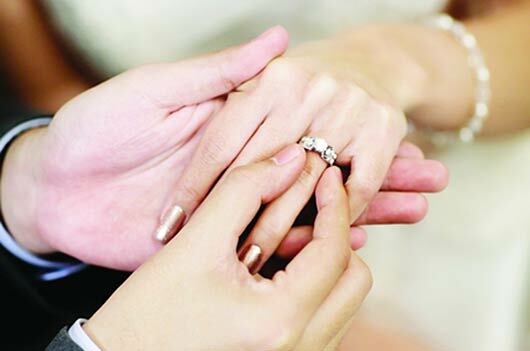 It revolves around the practical, cultural as well as emotional aspect of ring exchange ceremony and why is it such a largely followed tradition.